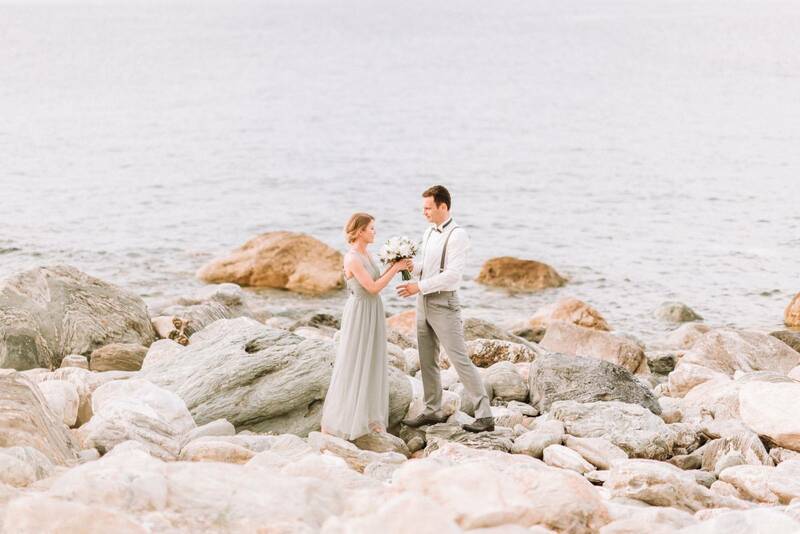 As a long time vacation spot for this German-based Polish couple Natalia and Mateusz, Halkidiki in Northern Greece was the perfect destination for their wedding. But before the big day the couple had these his organic engagement photos captured by KALAMPOKAS FOTOGRAFIA. 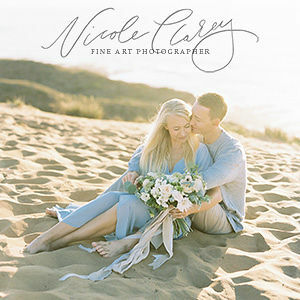 Working with wedding planner PHAEDRA EVENTS, the couple decided to have this engagement shoot just before their big day but wanted somewhere different to the actual wedding region, so Phaedra suggested Pelion. According to Greek mythology, it was the summer home of the Olympian Gods, a green wonderland where fruit trees heavy with fruit meander amongst wild olive groves, firs, oak and chestnut forests, and winding mule paths lead to the shore. 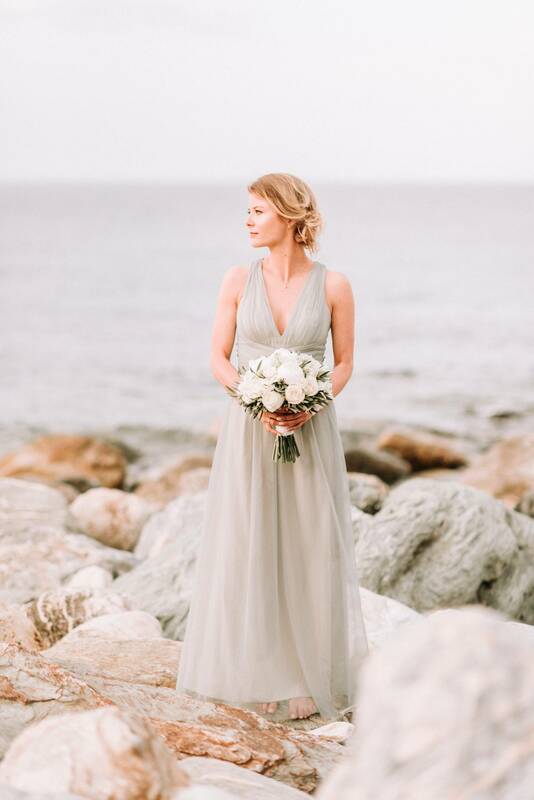 Phaedra tells us, "Natalia and I had already decided on a palette of sage and grey. Choosing their outfits had been a blast as they would send me images of their outfits from their dressing rooms in Germany. 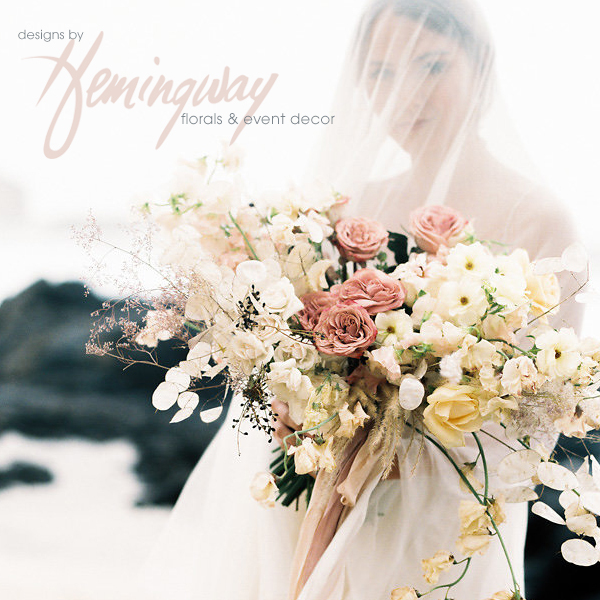 I enjoyed every step of these loving rituals and seeing how elegant they both are and how unassuming their love feels I just had to go for olive branches and peonies for Natalia's bouquet. Our day together began smoothly but as we were nearing Pelion the skies were already pouring. Natalia and Mateusz are no strangers to rainfall so they decided to proceed with the shoot anyway. 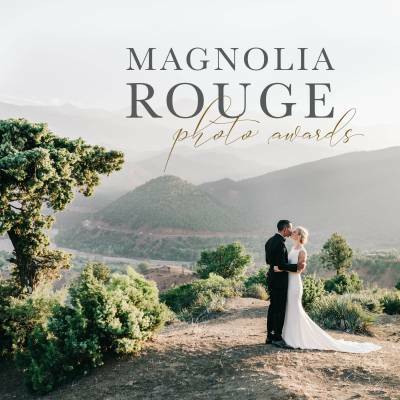 Needless to say Mother Nature finally kindly obliged so an hour later we set off on a road trip around the small whitewashed, half-timbered villages of Pelion to begin shooting their engagement portraits. 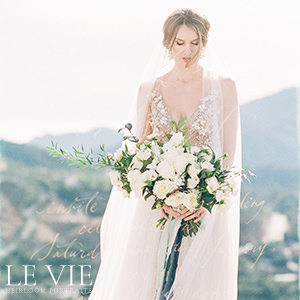 Lefteris Kalampokas is a wedding photographer I totally enjoy working with, and I was certain that his imagery would do justice to the couple's beauty. The massive sugar coloured rocks on the beach bathed in milky soft light were just too pretty and dramatic to miss! After an entire day of strolling the vast green foliage and chasing the sunset on the shore, we headed for a traditional treat to celebrate their love with toasts of 'tsipouro'."